This is not an easy blog to write – I’ve pondered about it for a few days, as I calmed down. That’s because I’m a big fan of holidaying in NZ and I’ve consulted and trained a number of NZ tourism organisations. Last week I spent a few days in the South Island with my family. They stayed on for a week’s shooshing down the slopes. I returned home to attend a funeral. 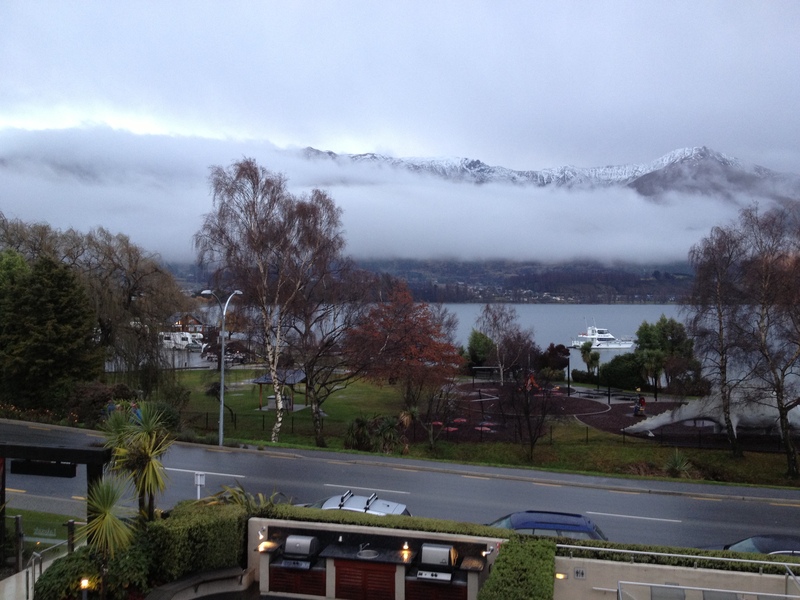 After a couple of wonderful days in Queenstown – see previous blog – we rented a car and drove to Wanaka. 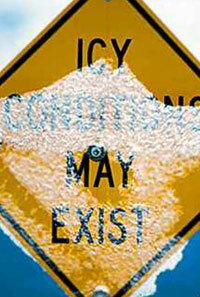 Given the season, we had snow chains with us just in case. As the designated driver, I was very cautious and took heed of the numerous warning signs about ‘grit and icy’ conditions. The scenery as always, was spectacular, despite the weather. We took our time driving and were even passed by locals on a number of occasions, as they were more used to the conditions. I asked what the problem was and whether we were speeding? The policeman said he had no idea, I’d have to wait. Quite a strange response we thought. He took my license and I explained we were tourists and this was our first time here. Then he returned with a ticket for doing 70 in a 50 zone. I doth protest. “It’s a 70 zone and the 50 sign is down there” I exclaimed, pointing to the 50 speed sign about 100 metres ahead. “No mate, there’s a sign back behind that tree down there”, pointing vaguely into the distance. “The locals don’t like people speeding into town. I’ve cancelled 3 licenses already today, caught loads of people.” he boasted. Now I’m all for catching speedsters on the road. But this was one of those cynical revenue raising exercises, ripping off innocent tourists in an obvious trap. One definition of a trap is “A stratagem for catching or tricking an unwary person” – and that’s exactly what this Policeman was doing. So we drove into Wanaka, steam coming out of our ears, as well as off the car bonnet. I blame the gorgeous scenery – it’s distracting enough for any driver. Maybe there should be road signs that say “look at the speed signs, not the scenery” on the tourist roads? 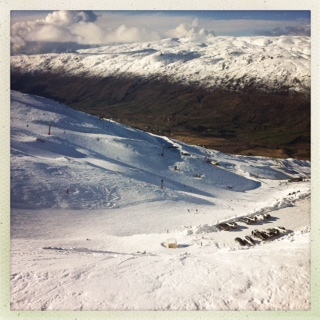 We spent a day wandering Wanaka – I recommend the Cardrona Pub for lunch and a bevvie or two. Next day I drove back to Queenstown to catch the afternoon flight direct to Sydney. I left at 9am Sydney time. The weather was closing in at Queenstown. It is always a problem for international flights as they have full fuel tanks and have to get up and over the mountains quick-time. The DIY machine told me to go to the service counter as there was something wrong with my ticket. At the counter, a human told me they had no idea if the flight could take off, as the plane was too heavy and the pilots would decide what to do on arrival. Knowing they always overbook the flight and then hope for cancellations, or bump people, I stood my ground. Given my reason for flying was compassionate, I was sent to “Pat” at ticketing, who keyed some magic strokes to guarantee I wouldn’t be bumped off the flight. But then a customer service person, or possibly a flight attendant, approached me (I wasn’t sure, as she was just wearing a slightly different uniform to the others). She couldn’t guarantee, given the weather, that the flight would even leave today, but she could guarantee I could get home via Auckland. I said confidently, “I don’t want to be bumped to make it easier for the flight to take-off, I know how the system works.” She was adamant there was little chance the flight would leave, but they could get me to Auckland if I hurried now. So off I rushed, hopping from left to right foot in the security line as the “FINAL CALL” light flashed above me, while silently screaming to the granny in front “move lady move”. Less than 20 minutes to departure, I rush around the corner – Queenstown’s international terminal is only one gate – to see a full lounge and not one person boarding. We stood for over half an hour before boarding and departing late. It gets better. I arrive in Auckland, but the Auckland to Sydney flight is delayed. We board. Nearly an hour later we are kicked off, as there is a technical problem. After an hour in the terminal, we were given $12 food/drink vouchers, but most people had already had their dinner, as we didn’t know how long we would be stranded. FYI beers started at $8.50 and fast food burgers at about $7.50. About 2 hours later we re-board and finally took off, in a race to beat the Sydney curfew. This is about 2 hours after my Queenstown to Sydney flight (which had taken off on time) had landed in Sydney. 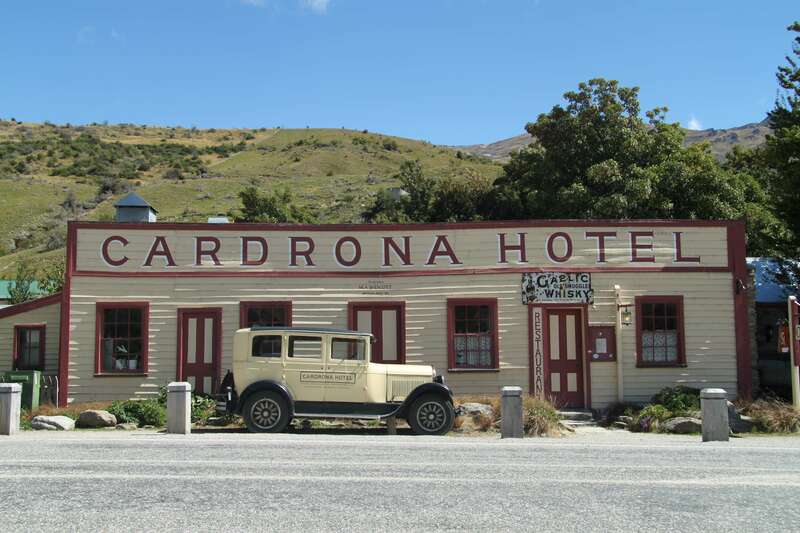 I know this because my bride rang me from Cardrona – she was tracking my original flight online and thought she’d share the news. During the flight, the head in-flight person asked each individual if they needed accommodation in Sydney because they had missed ongoing connections, etc. So I thought I’d share my story with her, given how much of my time had been used up by the airline. As I described the speeding fine story, she revealed she had been pulled over by the Police a few nights ago, heading home from a late shift about 10.30pm. “I knew I was speeding as there aren’t many cars on the road at that time of night. But as I was wearing my uniform, he let me off because he did shift work as well.” she smiled. “Then he checked my rego and it was 6 days overdue, so he told me to get it sorted quickly. I didn’t get a fine though.” As you can imagine, I was overjoyed for her. It’s obvious there’s one rule for locals and a different one for tourists. Maybe there should be a disclaimer on the 100% Pure campaign (disclaimer: only applies to Kiwis). But hey, there was one consolation – after traveling for over 15 hours to get home from NZ – I missed the Wallabies Vs Lions match. Thank goodness for small mercies. BTW – I’ll still holiday in NZ and tell others to as well. And I’m sure I’ll have no impact on Brand NZ – despite what the experts claim.